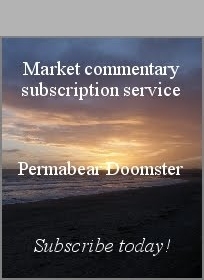 With US equity indexes failing to hold soft support at sp'2085.. the market snapped lower, and the VIX naturally jumped, settling +13.4% @ 15.44. Continued equity weakness to sp'2040 would likely equate to VIX 17/18s. 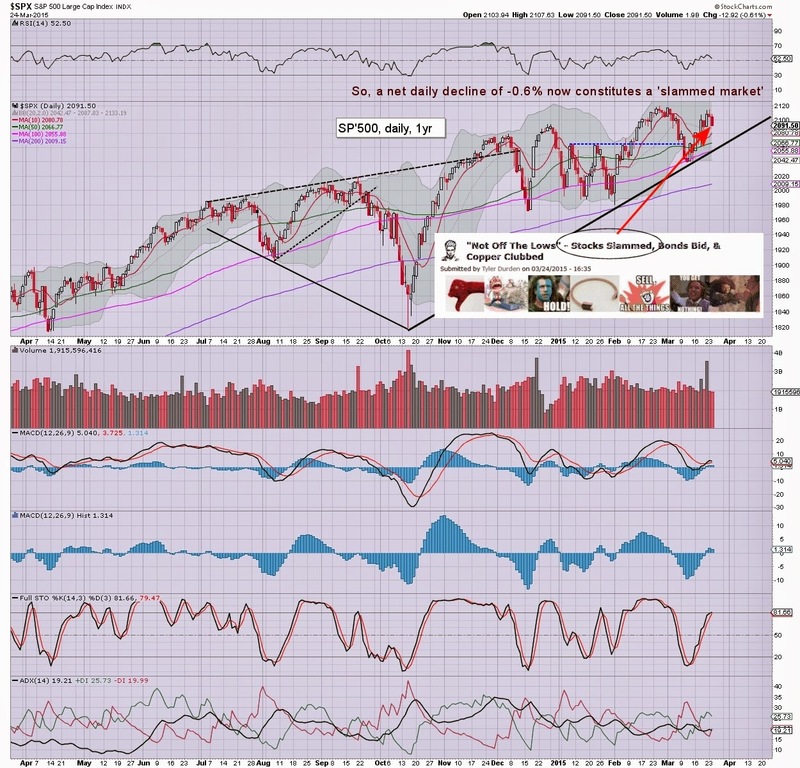 The big 20 threshold looks tough.... even if a test of the 200dma (around sp'2010). *it is especially notable that the VIX daily MACD (blue bar histogram) cycle turned positive cycle. In theory.. there are a very viable 2-3 days of further upside. The failure of sp'2085 to hold was not expected, but once it occurred, the increasing equity weakness was no surprise, and it was very natural to see the VIX break into the mid teens. I noted the spike-floor candle yesterday, but was overly dismissive of it. 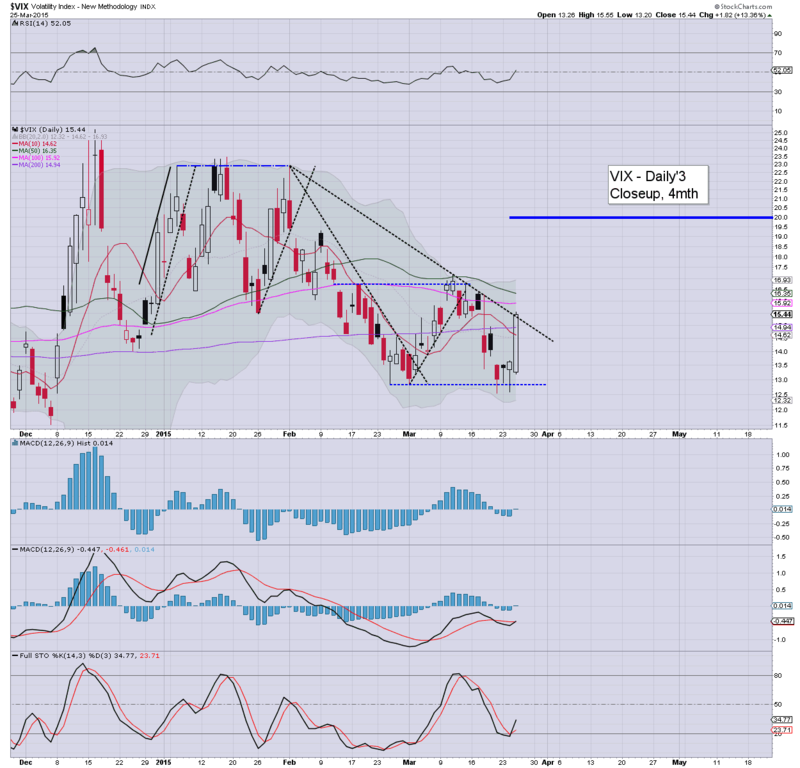 Today's closing VIX candle is pretty bullish, and is suggestive of continued equity weakness.. to at least sp'2040. US equities closed significantly lower for the third consecutive day, sp -30pts @ 2061. The two leaders - Trans/R2K, settled lower by -2.0% and -2.3% respectively. With the failure of the 50dma (2067) to hold.. market looks set for continued downside to at least 2040, if not the 2020/10 zone. Clearly.. a major victory for the equity bears.. breaking soft support of sp'2085... and closing under the 50dma. 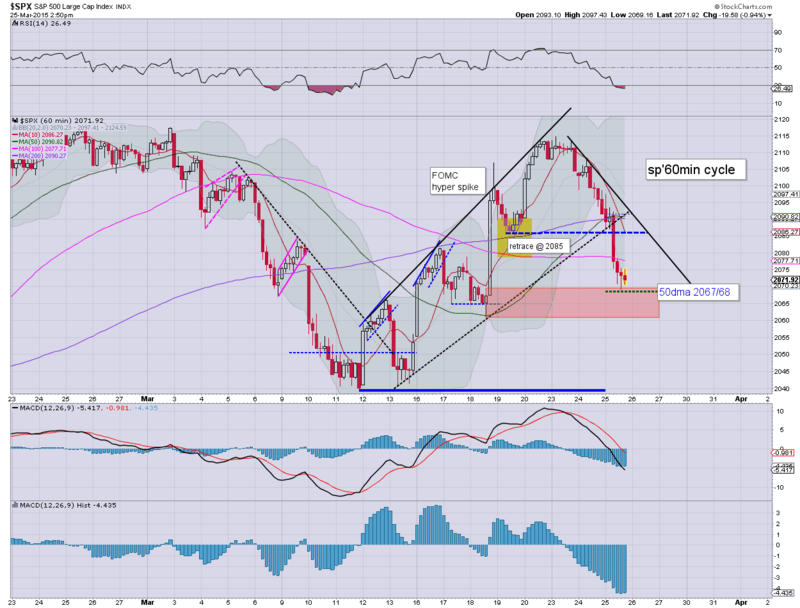 Market looks set for continued downside (regardless of any overnight/early Thursday gains)... to at least 2040... if not the 2020/10 zone.. where the 200dma will be lurking next week. US equity indexes are set to close lower for the third consecutive day.. with the VIX naturally higher for the third day. Price structure on the hourly cycle is offering a floor of sp'2069.. along with VIX maxing out at 15.39. 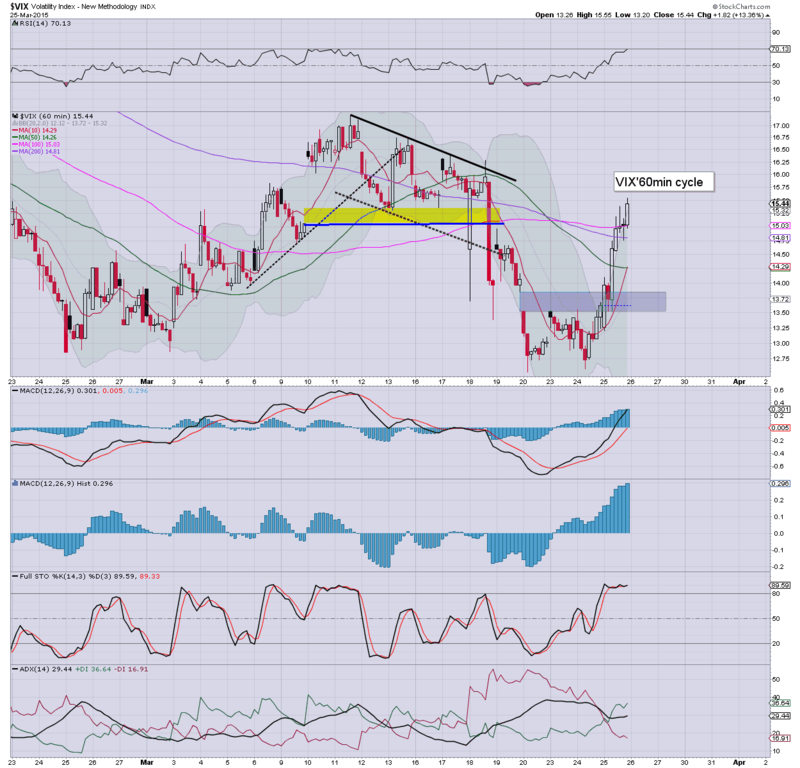 Oil has built powerful gains of 3.9%.. in the $49s. So.. a third day for the equity bears... having slipped from sp'2114 to 2069. In the scheme of things though.. its clearly nothing particularly significant. 3.10pm Market testing the 50dma..@ sp'2067... notably.. VIX not broken the earlier high... at least yet. 3.26pm.. fractional break of the 50dma... sp'2066... VIX still not breaking a new high. 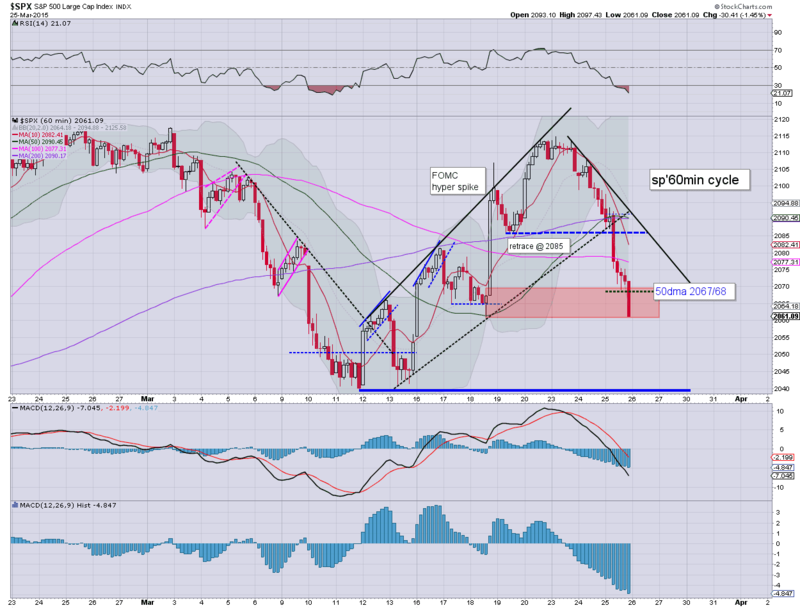 Having failed to hold the retrace low of sp'2085, we've seen further weakness to 2069. Price structure is offering a very early sign of a floor in the price cluster zone of 2070/60. Only with a daily close under the 50dma of 2067 could the equity bears have any real confidence of continued weakness into end month/quarter. *black-fail candle for Gold... not so bullish... and there is a truck load of resistance to the 120 level (equiv' to spot Gold of $1250). The afternoon turn time of 2.30pm is fast approaching... the bulls should be able to manage a daily close in the 2070s... but clearly. that will still make for the third consecutive net daily decline. VIX is cooling a little, +10% @ 15.09... things only get 'interesting' on a close >15.50. Notable weakness: DIS -1.5% in the $105s... next support 103/02. 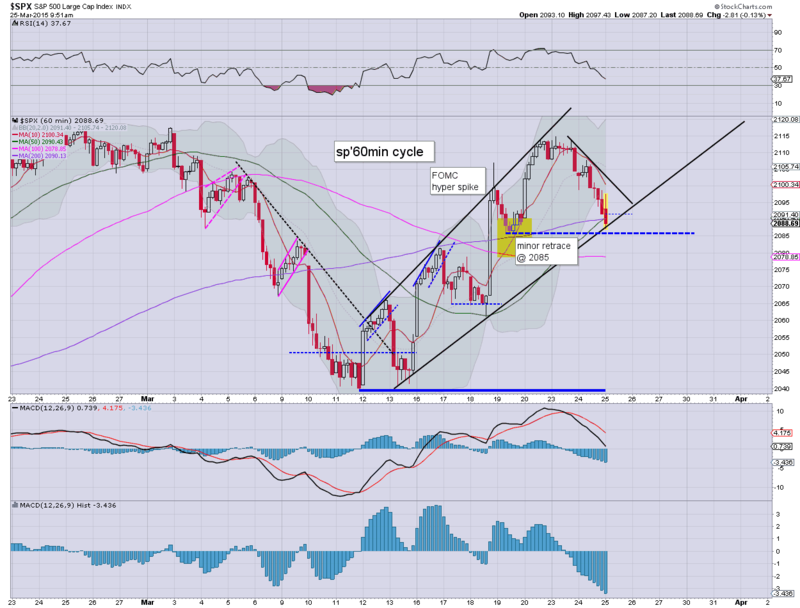 US equities continue to slide, into the next support zone of sp'2070/60 where the 50dma is lurking (2067). 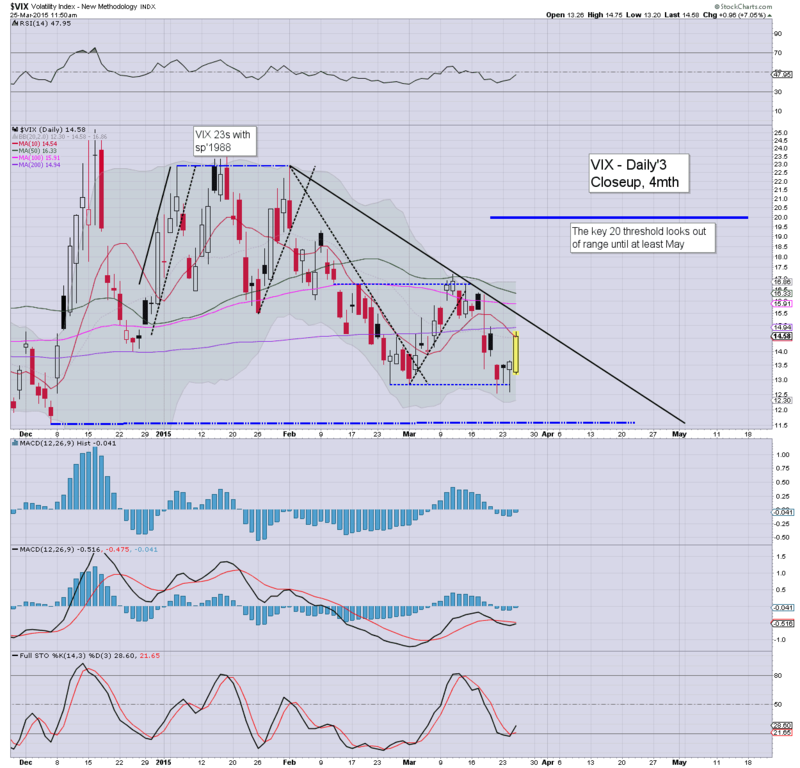 VIX is confirming the weakness, +11% in the low 15s. Clearly though.. this still rates as a very low VIX. Metals and Oil are both holding gains.. as the USD remains weak, -0.3%. ... with the break of 2085.. the increasing weakness is not a surprise... what should spook the bull maniacs though, would be any daily closes under rising trend of 2060.. which would also take out the pre-FOMC low. *I was overly dismissive of yesterday's spike-floor daily candle in the VIX... next resistance is around 15.50/75... which would equate to a test of the 50dma in the sp'2068/66 zone. momo stocks... TWTR, unable to hold the $50 breakout threshold, -3.9% in the $49s. US equities have seen a clear failure to hold the retrace low of sp'2085... hence a rather strong snap lower as long-stops are being hit. VIX is confirming the move... jumping 8% into the upper 14s. Metals and Oil are both holding gains, as the USD remains weak, -0.3%. So..a clear fail.. and yes.. I am surprised.. although I can't be the only one. 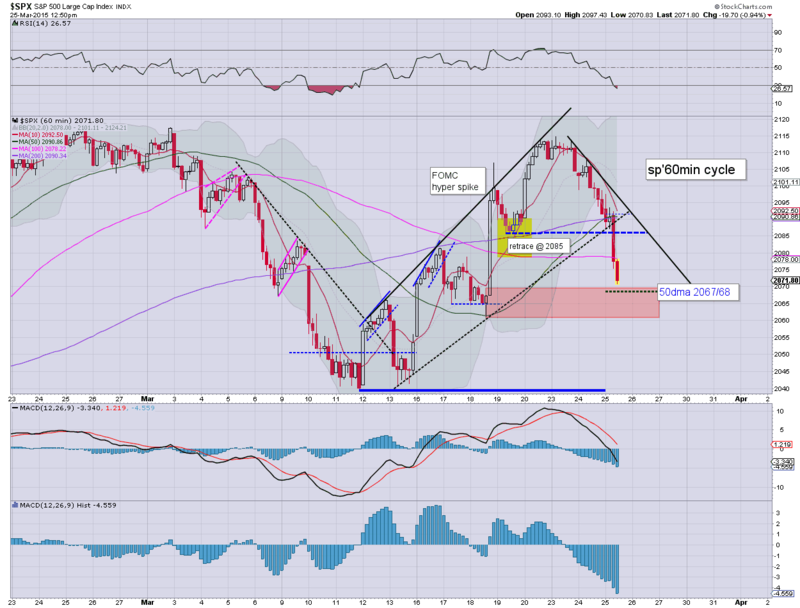 Next support zone is pretty clear.. 2070/61.. where the 50dma is also lurking. Price action is clearly a lot weaker than expected, but on no basis should any of the equity bears be getting overly excited at this. 12.45pm.. Well.. we're at top of next support zone... just above 50dma.... VIX +11% in the low 15s. 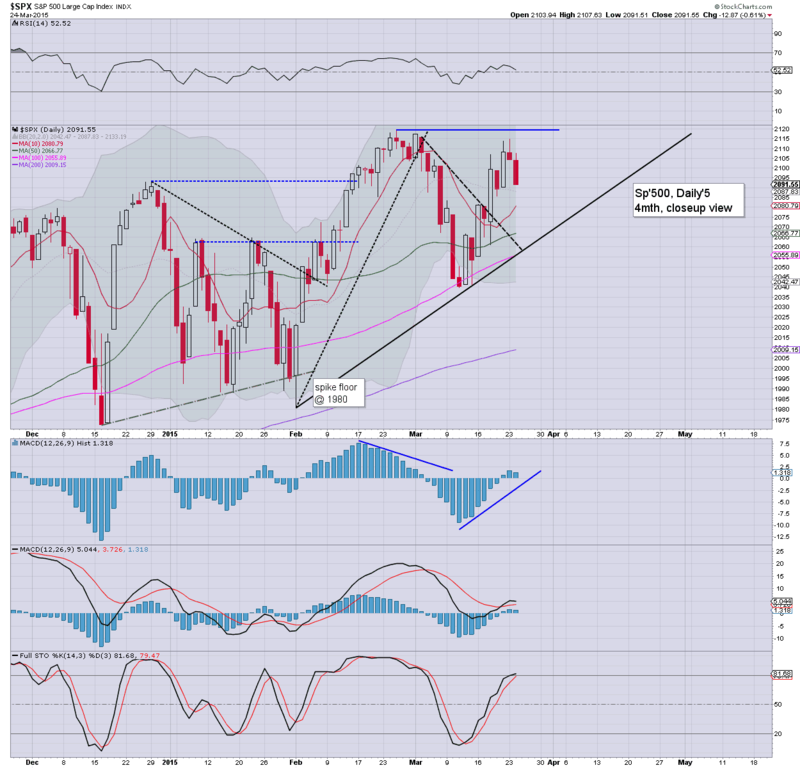 US equities remain moderately weak, with the market battling to hold above last Thursday's retrace low of sp'2085. VIX is again not reflecting any real market concern, +1.5%.. still in the 13s. Metals are holding minor gains, Gold +$3. Oil is cooling, +0.3%... after another 8.2 million barrels of surplus. Well, its typical turn time of 11am... equity bulls really need to show up here.. and drive the market back into the sp'2100s.. preferably by the close of today. .. and most other momo stocks are having a somewhat difficult morning.. such as TWTR, -1.5%.. back testing yesterdays breakout $50 threshold. 11.35am... clear market FAIL... sp'2082... next support is the 2070/60 zone.. where the 50dma is lurking. Certainly.. I'm surprised at the weakness... the one thing that still does not support the bears... VIX... although it is +7% in the mid 14s.... but are we really to get excited about VIX 14s? 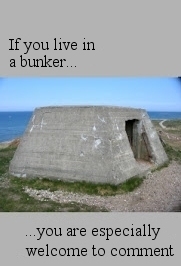 Has it really got to that? US equities open fractionally higher.. but with a rather swift swing lower.. now testing the retrace low of sp'2085. All things considered, market should be turning upward from here. 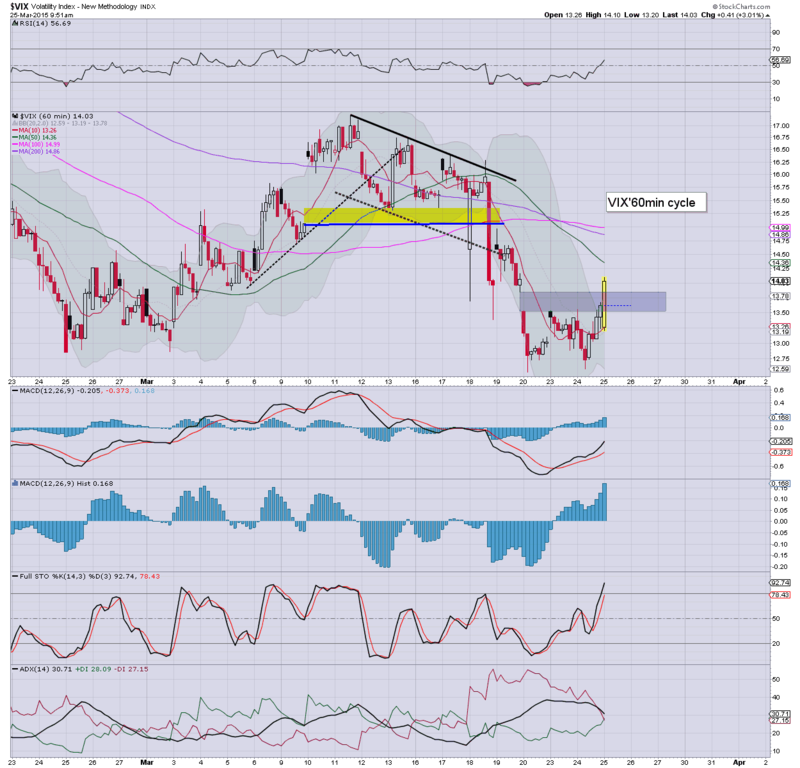 Metals are holding minor gains, Gold +$3. Oil is vainly higher by 1.3%.. ahead of the EIA oil report (10.30am)... highly vulnerable to turning red. 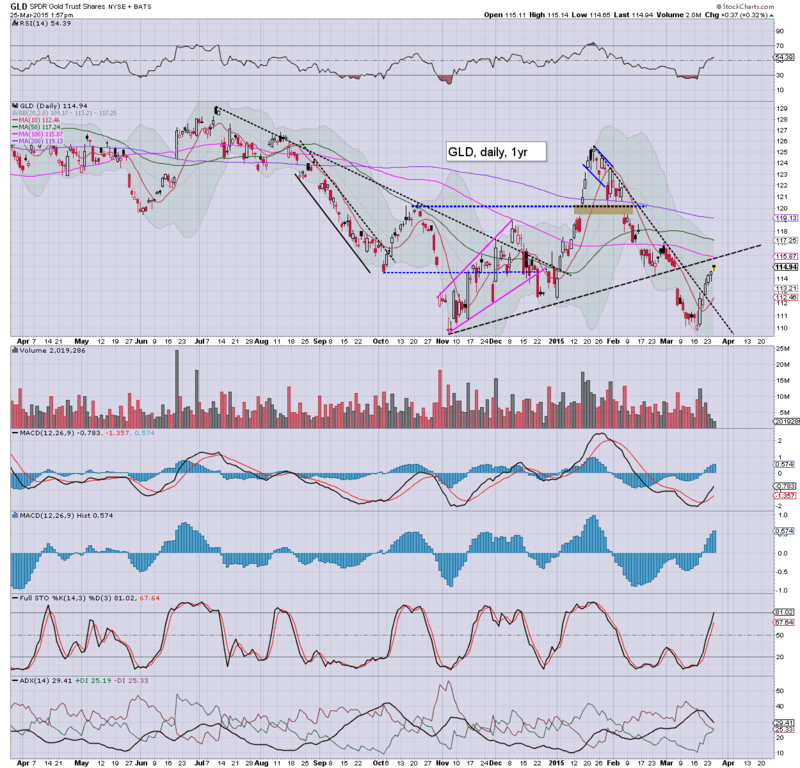 A pretty interesting open... and despite the early declines.. it doesn't change the original outlook. There is little (if any) real concern in the market.. and from a purely cyclical perspective.. we should rally upward from these levels. Notable weakness: Discovery (DISCA), -1.4%... great company, but the monthly chart sure ain't so pretty. 10.25am.. looks like we have clear floor.. on rising trend.. just a touch above the retrace low of 2085. VIX is naturally cooling.. already red.. with sp'2093. 10.34am. Oil inventories.. surplus 8.2 million barrels... again... another huge number. Oil is holding gains of around 1% though... pretty impressive considering the persistant surplus. Good morning. Futures are a touch higher, sp +1pt, we're set to open at 2092. USD remains weak, -0.5% @ DXY 96.70. Metals are battling to continue higher, Gold +$1. Oil is +0.8%.. ahead of the latest EIA report. *Durable goods orders: -1.4%... a sig' miss. Not exactly inspiring. 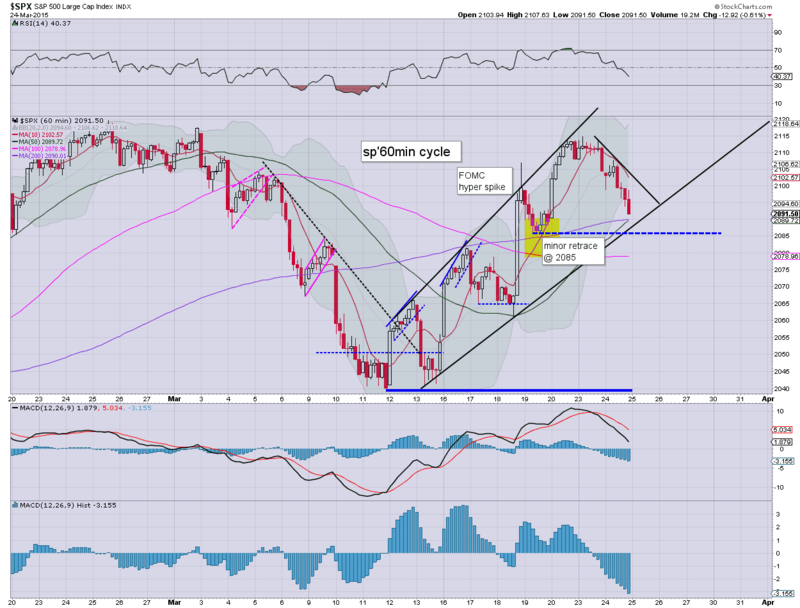 On any basis, the hourly equity cycle is floored, and market should hold above the recent retrace low of sp'2085. A daily close in the sp'2100s looks... probable.. along with VIX 12s. Notable strength: oil/gas drillers, RIG +2.4%... but remains highly vulnerable to renewed weakness if Oil swings lower. Whilst many are still overly twitchy in the US and European equity markets, there remains undeniable hyper-strength in China. The Shanghai comp' is comfortably holding over the key 2009 bounce high of 3478, which opens the door to the giant 5K threshold before year end. Without question, this is the second clear break since last summer.... from the low 2000s to the 3700s... pretty incredible. 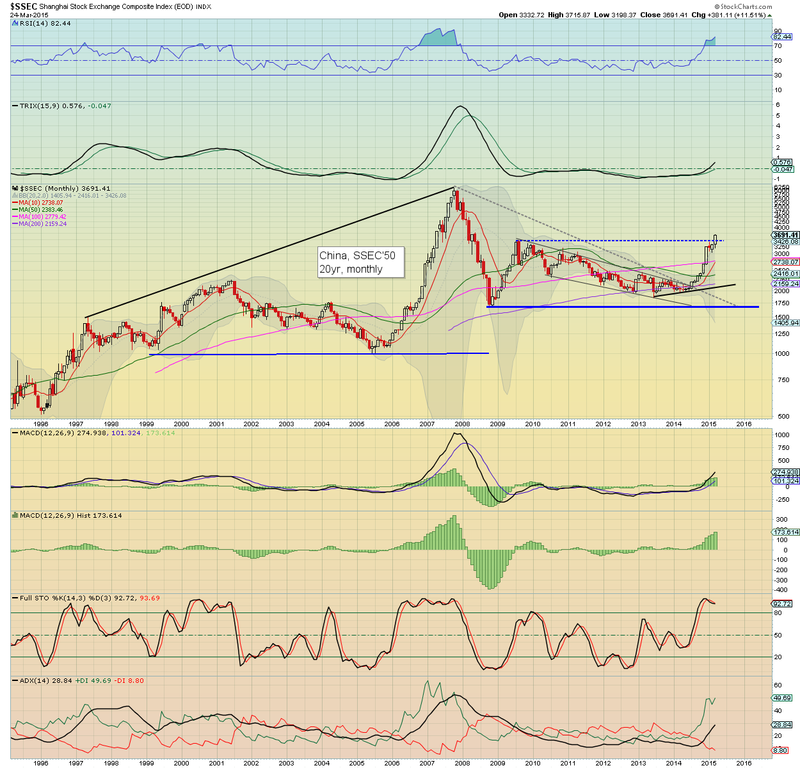 I could highlight other world markets.. but I'll leave that for the next world monthly index post... due April 4th. It is absolutely bizarre how any site would have the audacity to call a net daily decline of -0.6% as a 'slammed' market. Even though I still keep an eye on ZH (they remain great in terms of getting news out there fast).... the utter hysteria of almost every headline is just.... well.... maybe 'lame' would be appropriate to describe it. For me.. it was in late Dec'2012, after seeing ZH tout a Friday decline of -1.1% as a 'market bloodbath' that I realised ZH was no longer remotely attempting to be balanced. Naturally, across the following two trading days, the Dow soared around 500pts. ZH has become bearishly hysterical on every single down move, and today sure as hell wasn't particularly bearish.. as reflected in a VIX that can't even climb out of the low teens. As things are, I can only imagine the 'hysteria' will grow even wilder in the years ahead. It will make it ever more difficult to remain balanced, and not get swept up within the stampeding crowd. No doubt.. ZH is actively playing to the 'doomer audience' (not least the Gold bugs)... and I can understand that.. but I sure as hell won't do it here. Ohh, and I realise some of you don't like that. ZH will of course be around when the next collapse/crash occurs, and I'm sure they'll remain a useful news source, but its just a shame they are hyping up each and every news story into an 'omg.. the financial world is going to implode today' post. I guess they are desperately needing the traffic/ad revenue. Wednesday will see Durable Goods Orders, along with the latest EIA oil report. Again, any weekly surplus much above 7 million barrels will bode very bearish for WTIC Oil prices. The only issue is whether the main equity market can just ignore it.... probably. US equities closed moderately weak, sp -12pts @ 2091. The two leaders - Trans/R2K, settled lower by -0.7% and -0.1% respectively. Near term outlook is for renewed upside into the sp'2120/30s. 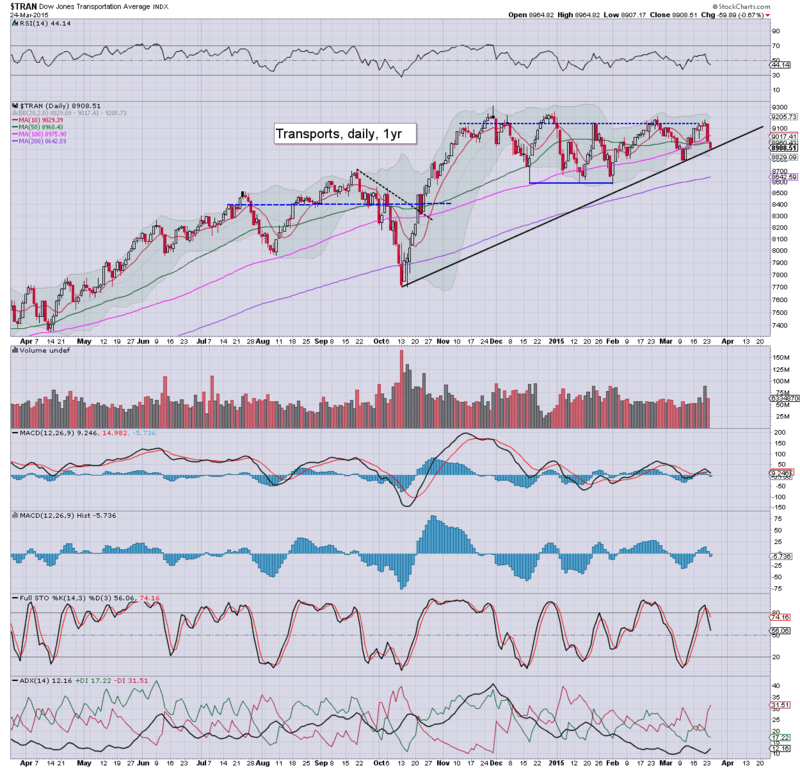 *notable weakness in the Transports.. but just about holding rising trend from the Oct' low. Overall, despite the net daily declines, there is little for the equity bears to look forward to. 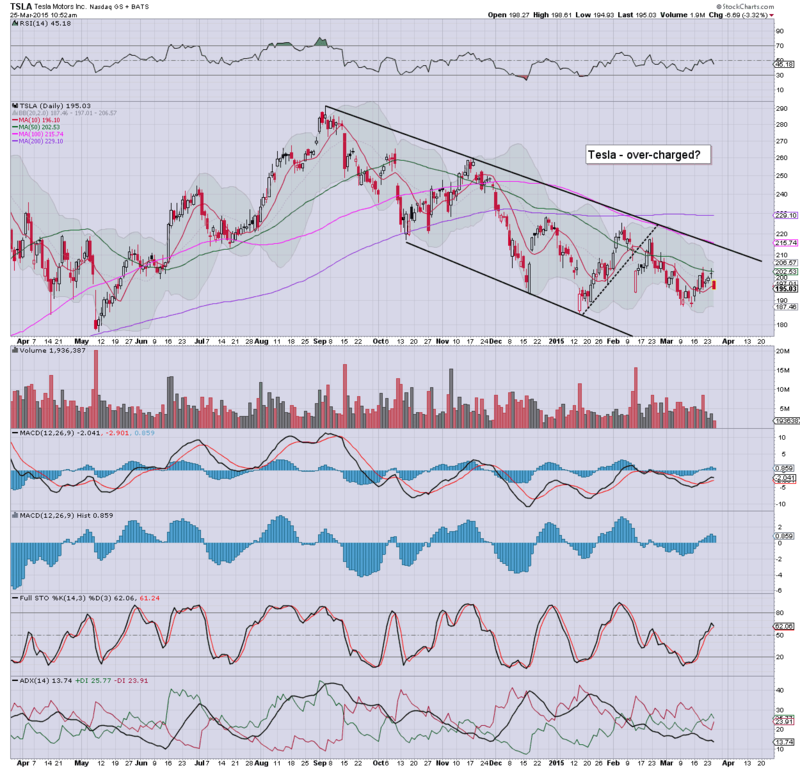 Main market looks set to grind higher into end month/early April, to the sp'2120/30s. Certainly, the VIX isn't warning of any real market concern.